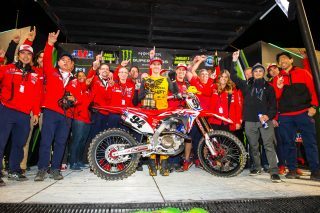 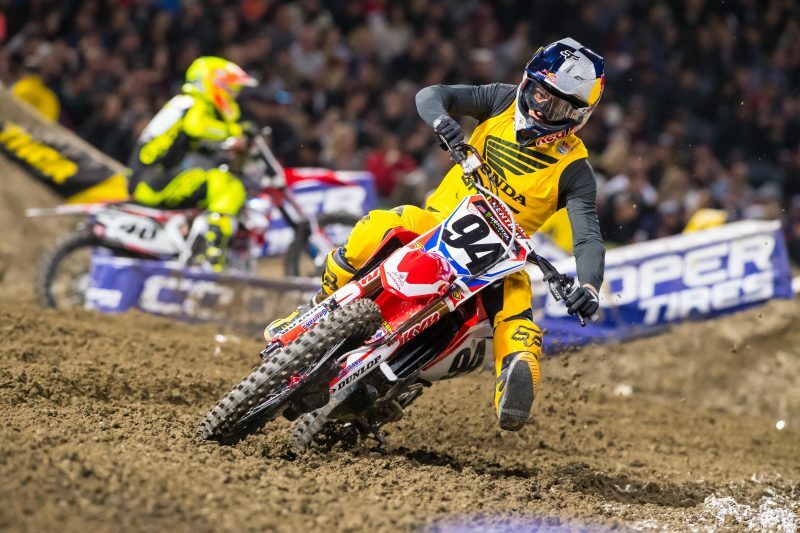 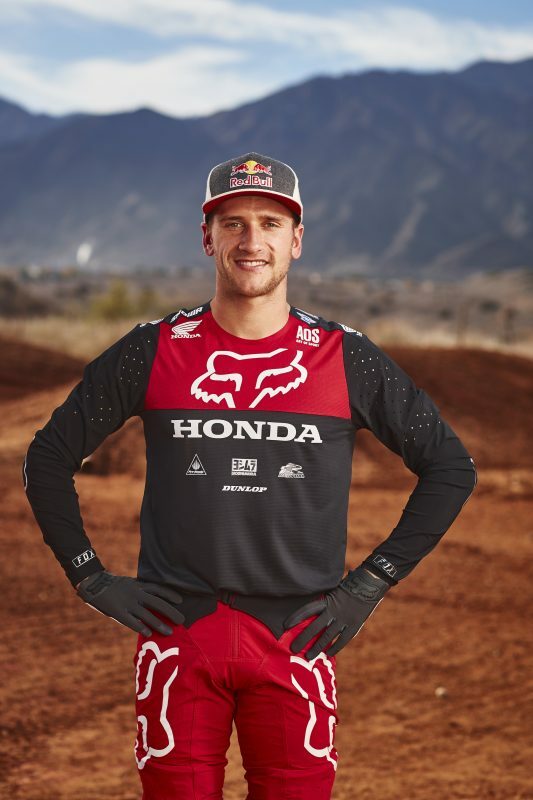 The first round of AMA Supercross, at Angel Stadium of Anaheim, saw Ken Roczen turn in an exciting dream performance aboard his CRF450R, giving Team Honda HRC the opportunity to celebrate an early points lead in the series. 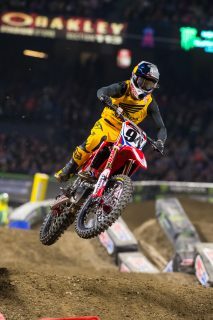 The German native was unstoppable all evening, taking the holeshot in both his heat race and the 20-minute-plus-one-lap main and never relinquishing his lead in either. 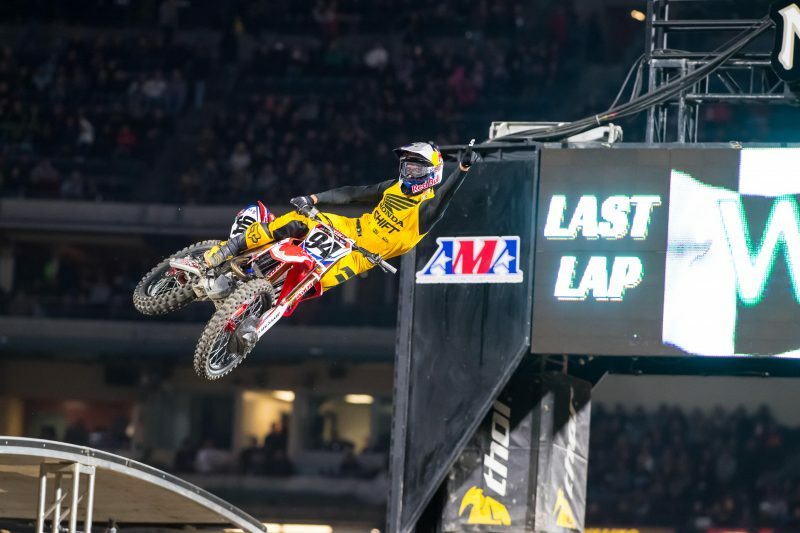 Along the way, Roczen clicked off unmatched lap times, ultimately taking the checkered flag with nearly 16 seconds to spare. 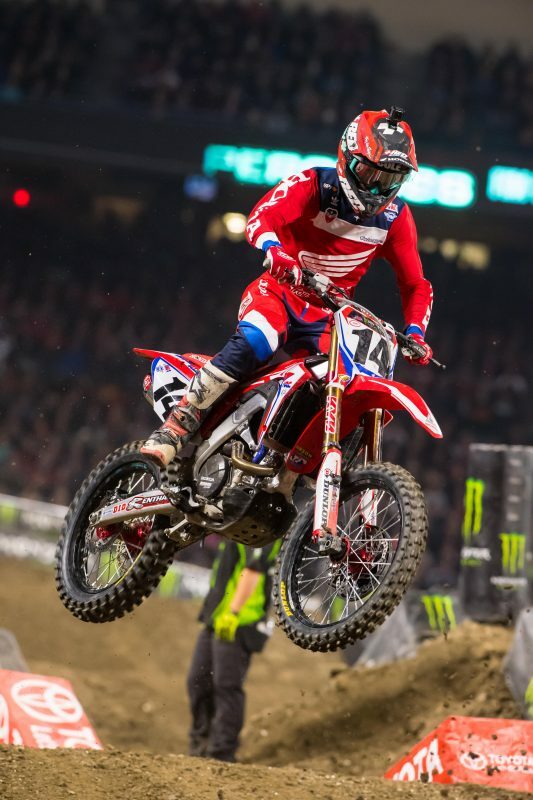 Despite having to shake off some pre-race nerves, teammate Cole Seely put together a solid performance to finish sixth on the night. The Californian got off the line to a top-10 start and quickly made his way through the field, moving into fifth on lap five. 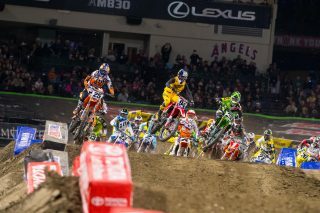 He maintained that position until the halfway mark before relinquishing one spot to finish in sixth. 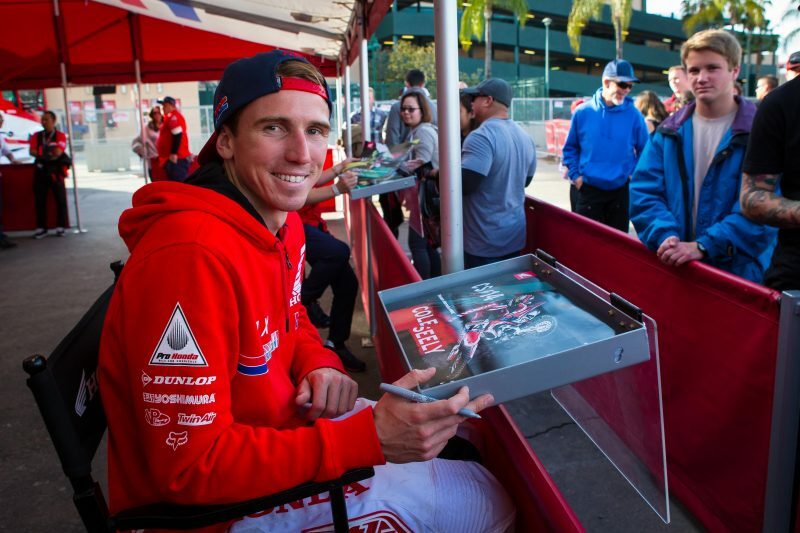 On Friday night, Team Honda HRC’s Ken Roczen and Cole Seely, as well as Honda brand ambassador Andrew Short, were joined by GEICO Honda’s Jeremy Martin and Jimmy Decotis for the first autograph session of the season, at Santa Ana’s Del Amo Motorsports of Orange County, where they spent time hanging out with fans. Team Honda HRC was pleased to host Honda Racing Corporation Vice President Mr. Shuhei Nakamoto at Anaheim, as well as a number of other Honda Motor, HRC and HGA executives. 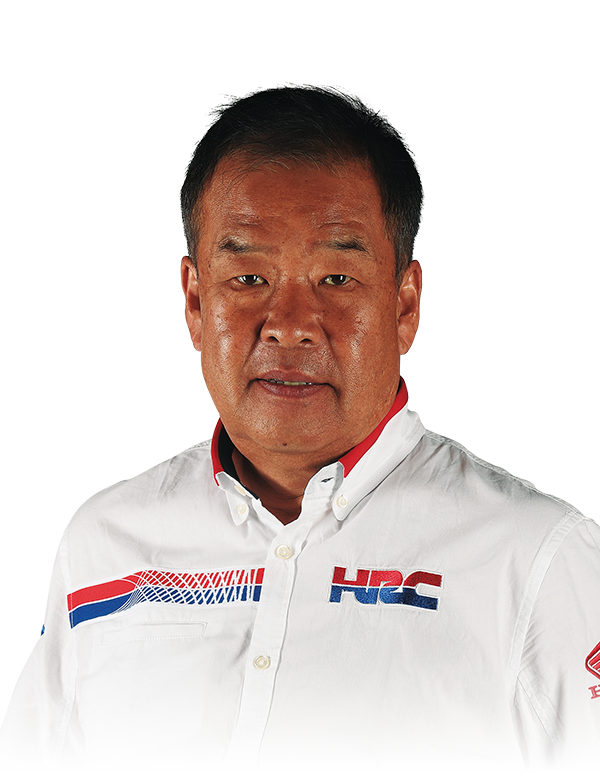 Mr. Nakamoto, who has served in a number of important roles for Honda over nearly 35 years, will retire in April. 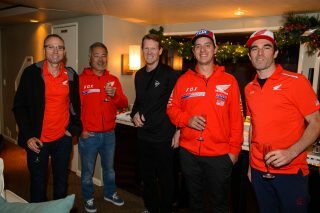 To show their appreciation, Team Honda HRC presented him with a cake before the evening program began. 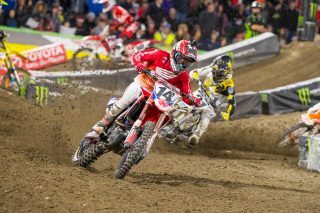 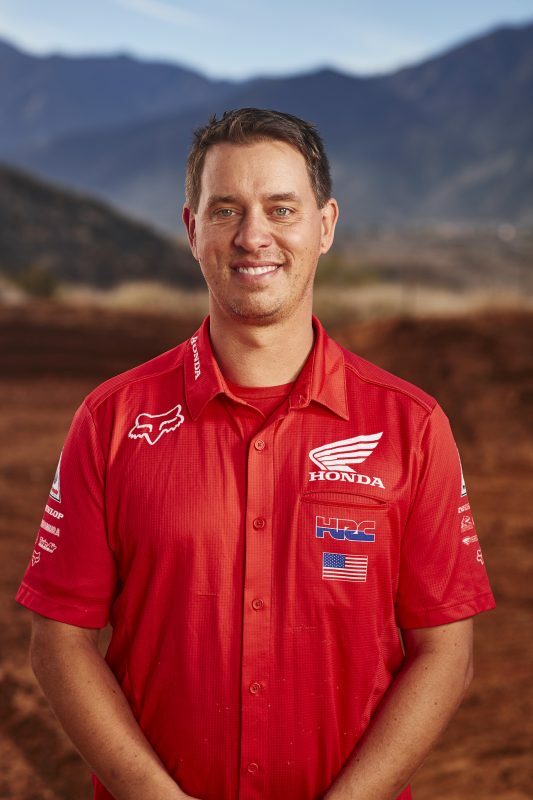 For the second consecutive year, American Honda welcomed fans in the Supercross Pit Party with a huge setup that included a children’s learn-to-ride center, an exhibit of models from the 2017 CRF family and four vintage race bikes. 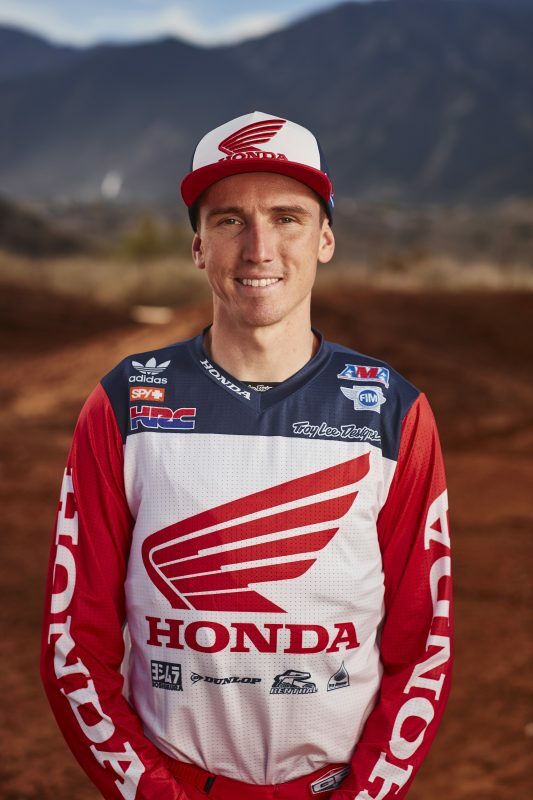 During the daytime qualifying sessions, Seely notched the third-quickest lap time at 1:02.334, while Roczen was fifth with a 1:02.428 lap. 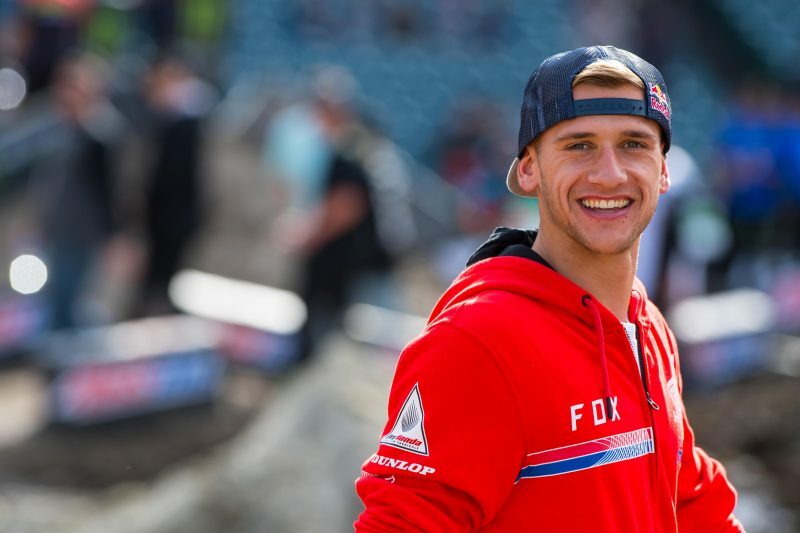 Slotted in the second heat race, Roczen launched his CRF450R to the holeshot and early lead. 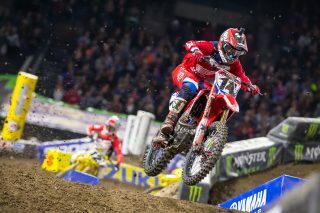 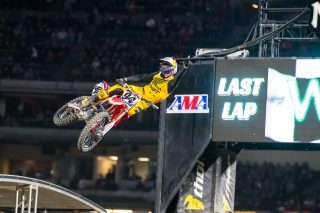 Seely was in the same race, sitting fifth on the first lap. 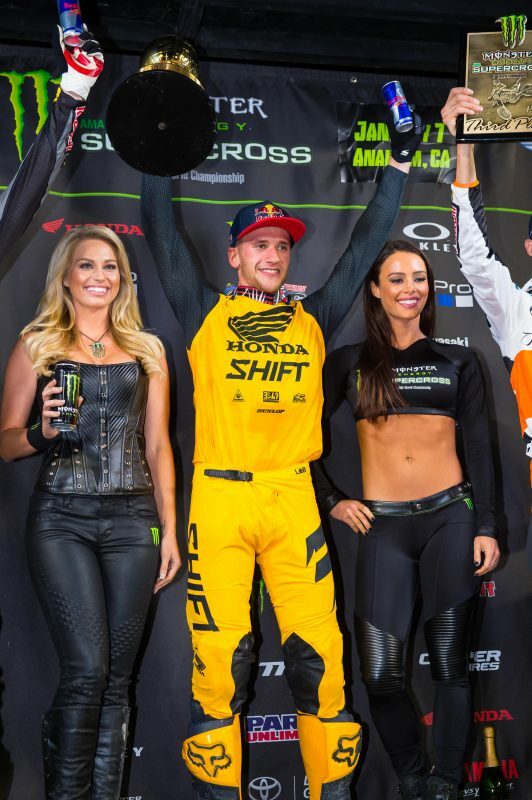 Roczen began to pull away from the pack before ultimately taking the win, while Seely moved into fourth to secure the final transfer position. 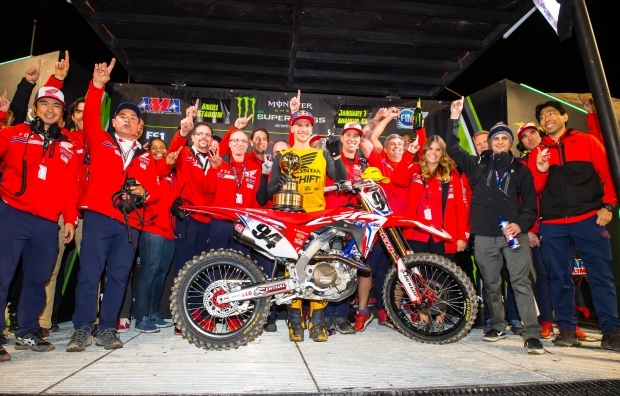 Honda’s CRF450R was a popular choice at Anaheim 1, with no fewer than 15 of the 56 event entries choosing it as their steed—four more than the next-most popular machine. 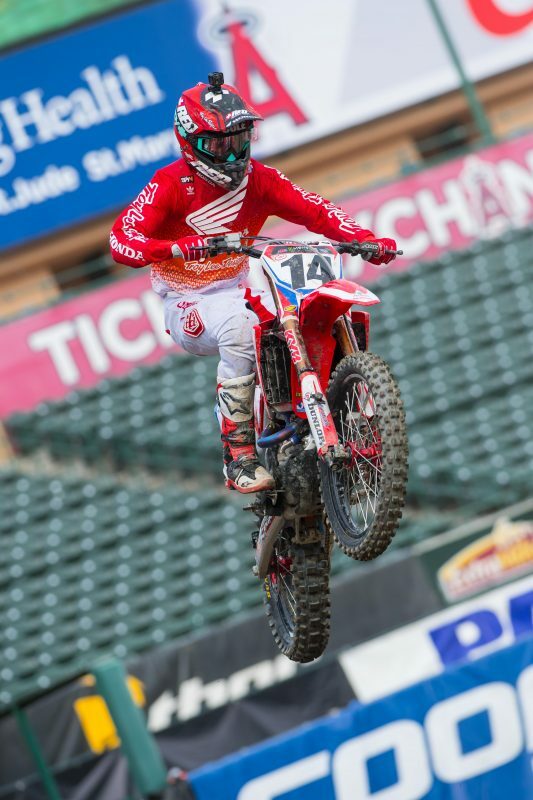 This week, the Honda Red Riders head to downtown San Diego for round two at Petco Park. On Friday, the riders will take part in a dealer appearance at Motoworld of El Cajon from 6-7:30 p.m. 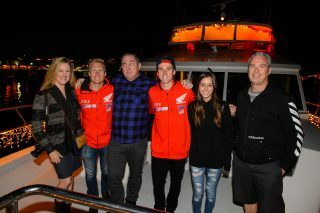 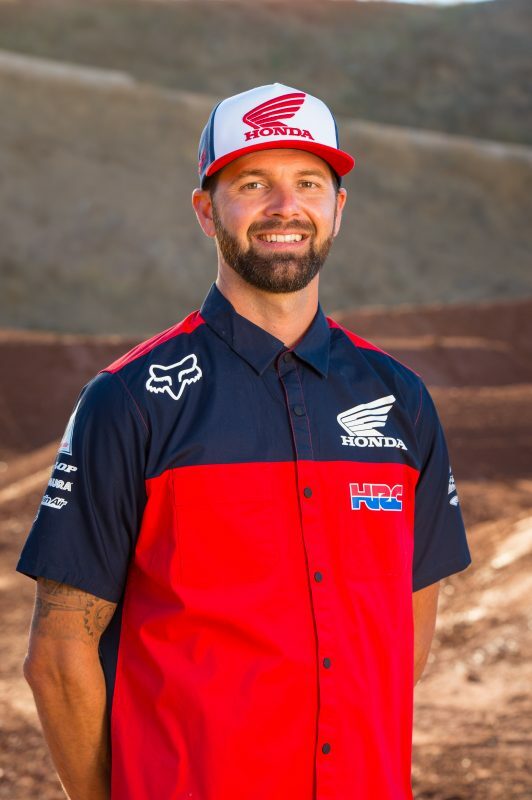 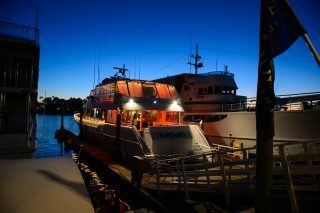 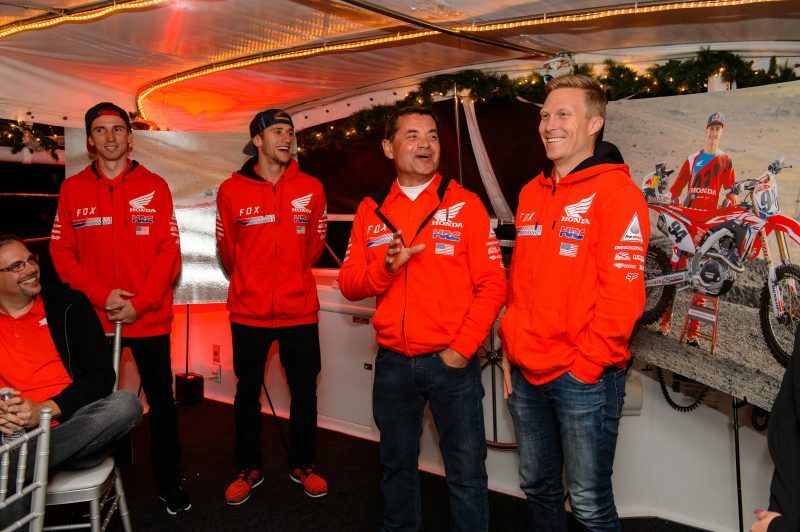 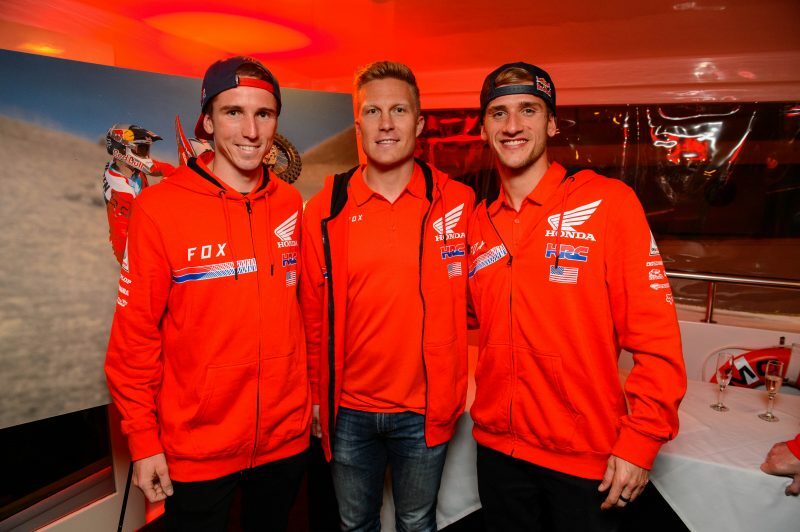 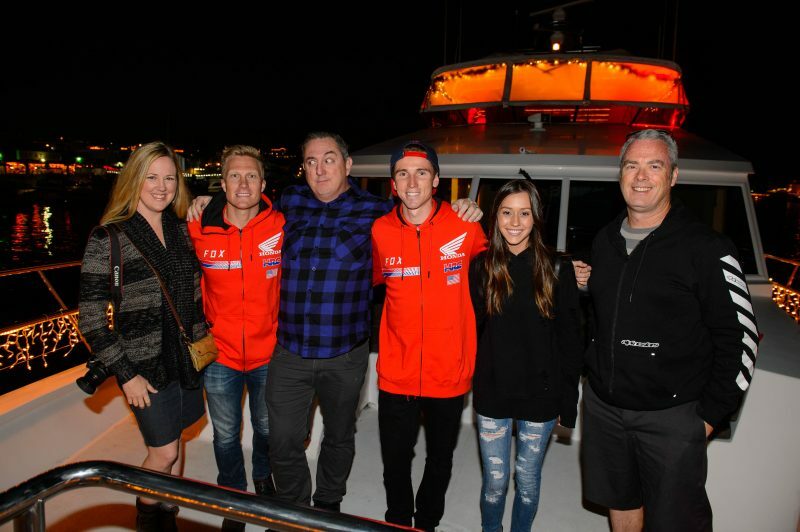 While Team Honda HRC was as busy as anyone preparing for the new season, they did take time to celebrate the holidays, inviting team staff, sponsors and members of the media on a Newport Beach harbor cruise shortly before the New Year. Riders Ken Roczen and Cole Seely were introduced to the attendees, as was brand ambassador Andrew Short and team manager Dan Betley, but most of the time was dedicated to socializing and participating in a Honda-themed trivia contest that was won by Team Golden Boy (captained, of course, by Dunlop’s Broc Glover).